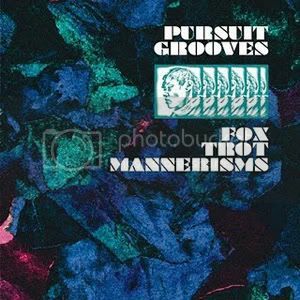 Here for a brief whiffy week is a taster from the insiduous Fox Trot Mannersims from Brooklyn femme-C and producer Pursuit Grooves. The very fact that it has been picked up by DJ Pinch for a thoroughly mould breaking release on his Tectonic label should be a clue that it’s a bit special, and it is. 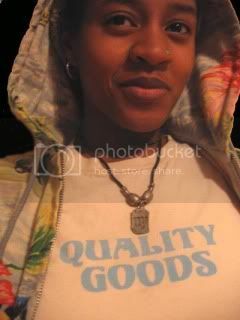 Initially it was the Coco Solid-esque vibes of Start Something that caught my ear, and in doing a little research I discovered that PG also attended the Barcelona RBMA, as did our champeen Mz Coco. Curious. 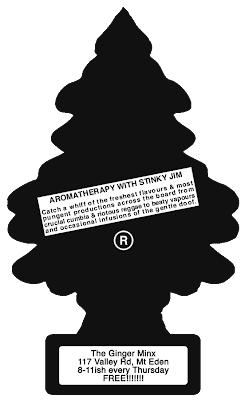 In the space of a week or so the entire EP has latched its tasty tentacles onto my musical mainframe, and it really is a breath of fresh air amongst a seemingly endless slew of wonky nouveau trip-hopisms. Check this sultry wee beastie out at a frankly unsatisfactory rate of 192, and then repair yourself to your nearest discery or pusher of bytes and invest in the full EP, ypu’ll be thanking me (or you have cloth ears). 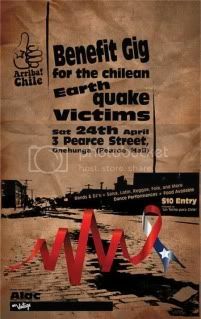 and as mentioned before on the show, the Arriba Chile Earthquake Relief event is on this weekend, details below. 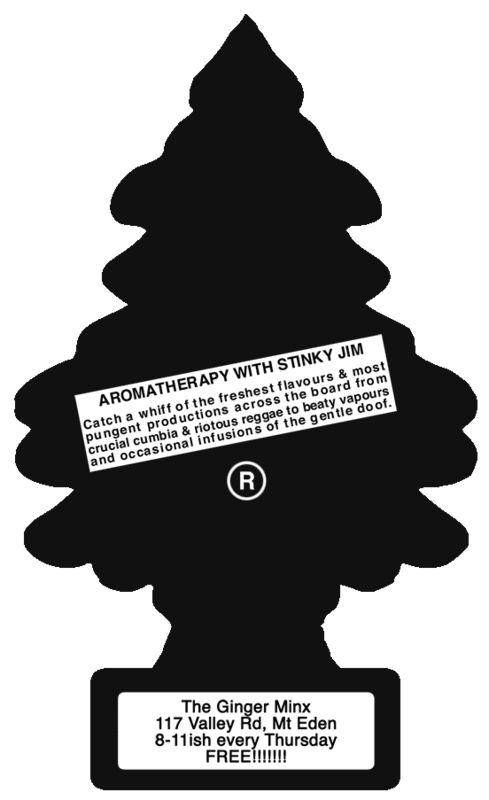 Do the right thing …check it!